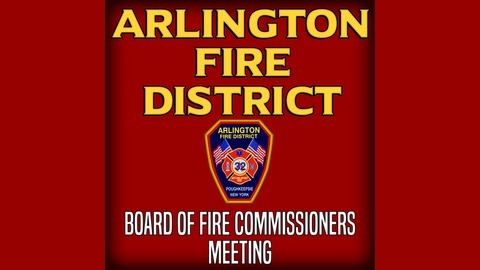 The Arlington Fire District Board of Fire Commissioners’ hereby provides notice that its regular monthly meetings for the year 2016, will be held on the FIRST Monday and THIRD Monday of each month commencing at 7:00 p.m. at Arlington Fire District Headquarters, located at 11 Burnett Boulevard, Poughkeepsie, New York, County of Dutchess. 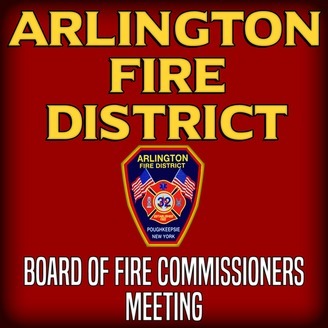 All Board of Fire Commissioners meetings of the Arlington Fire District are open to the public. In accordance with OPEN MEETINGS LAW SECTION 103(e), any records scheduled for discussion on the BOFC meeting agenda will be made available to the public, to the extent practicable, by posting them online prior to the meeting or copies will be made available at the time of the meeting.